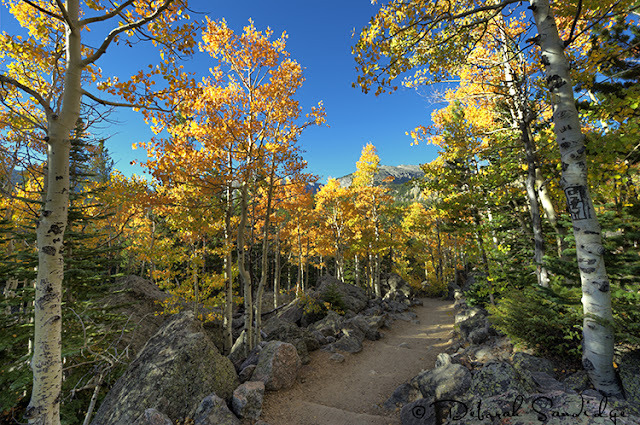 Aspen trees provide Rocky Mountain National Park with beautiful fall colors of orange and gold. I've never seen so much color in the Rockies before. I couldn't stop taking pictures in this one location, a short hike from Bear Lake. For this image, I used a wide angle lens to make several exposures, merging to HDR later in Photomatix. Find some fall color this October, don't let this month slip away!